Remember that Jarekus Singleton makes his metro debut this week. Singleton plays Lincoln’s Zoo Bar Wednesday, April 1, and hits The 21st Saloon Thursday, April 2, both shows 6-9 p.m. Singleton is being praised for his fusion of “hip-hop word play, rock energy, R&B grooves and untamed guitar licks.” The young, Mississippi-born bluesman is touring in support of his Alligator Records debut, Refuse to Lose. 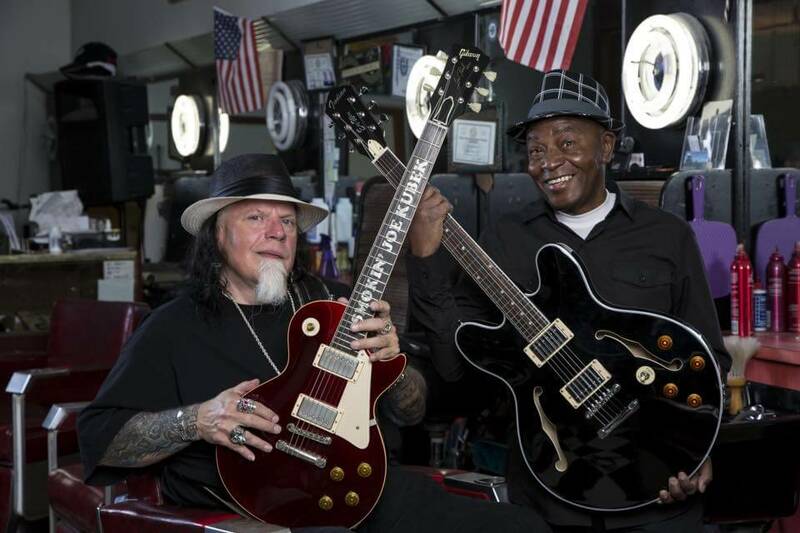 Singleton is nominated for three Blues Music Awards in the annual industry recognition event held by the Blues Foundation. The awards will be given out Thursday, May 7, in Memphis. See alligator.com. Other Zoo Bar shows this week include Omaha’s R&B and pop band All Young Girls Are Machine Guns for the 9:30 show Wednesday, April 1. Gerardo Meza Band, Radiator King and SAS play Thursday 6-9 p.m. Josh Hoyer & The Shadowboxers and Chicago’s popular R&B group Sidewalk Chalk have the late show Thursday, April 2. The Mezcal Brothers rock the Friday Afternoon Club show 5-7 p.m. Friday, April 3. Jelly Bread is up next Wednesday, April 8, 6-9 p.m. They are an up and coming band whose press kit promises blends “elements of desert twang and the urban tones of funk and rock” with “exceptional songwriting and storytelling.” See jellybread.net. Jelly Bread also plays The 21st Saloon Thursday, April 9, 5:30 p.m at The 21st Saloon. Rev. Peyton’s Big Damn Band hit Lincoln’s Bourbon Theatre Sunday, April 5. Doors at 7 p.m. and show at 8 p.m. If you haven’t seen this band yet and you are a blues guitar fan, prepare to be impressed. Rev. Peyton is an accomplished guitarist whose virtuoso style is inspired by the Delta’s iconic blues guitarists. His lightning riffs are steeped in traditional blues slide guitarists and finger pickers like Charley Patton and Mississippi John Hurt. With Breezy Peyton on washboard and Ben Bussell on drums, the trio throws down a hard-charging mash-up of blues, ragtime, folk, country and other traditional styles that is true to its roots but that has fueled them onto the indie rock scene too. They are touring in support of their latest disc So Delicious. Check them out at bigdamnband.com. Also appearing are Leopold & His Fiction and the Bottle Tops. See bourbontheatre.com. Steve Byam’s guitar-driven blues show is back as 40 Sinners takes the stage at the Harney Street Tavern Thursday, April 2, 9 p.m. Free Show. Kris Lager has a solo acoustic gig at PS Collective inside the Pizza Shoppe Thursday, April 2, 7:30 p.m.
Hector Anchondo Band gigs at The Hive Friday, April 3. London’s genre-crossing roots band Kitty, Daisy & Lewis are featured at The Reverb Lounge Tuesday, April 7, 9 p.m. They say their sound blends “dirty R&B & blues, whiskey soaked country…and Gospel fever” with a contemporary edge that includes some beatboxing by Daisy. See facebook.com/kittydaisyandlewis. Jelly Bread brings their roots, rock, soul and funk to The 21st Saloon Thursday, April 9, 5:30 p.m. opening for Wayne Sharp & The Sharpshooters, the band fronted by the late Michael Burks’ longtime keyboard player. See waynesharpblues.com.